In the beginning there was an idea, and then came panels and painting, fabrics and toys, displays of all kinds, and many bright and colorful things to set up and organize and build and lo, there was an exhibit. 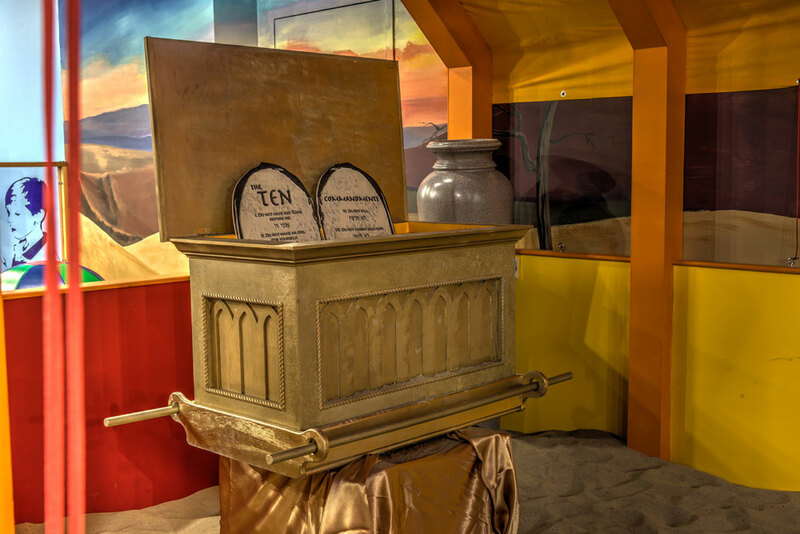 Shalom Street Museum’s new exhibit, It’s Your Torah To Explore, is an exciting adventure into the Five Books of Moses. 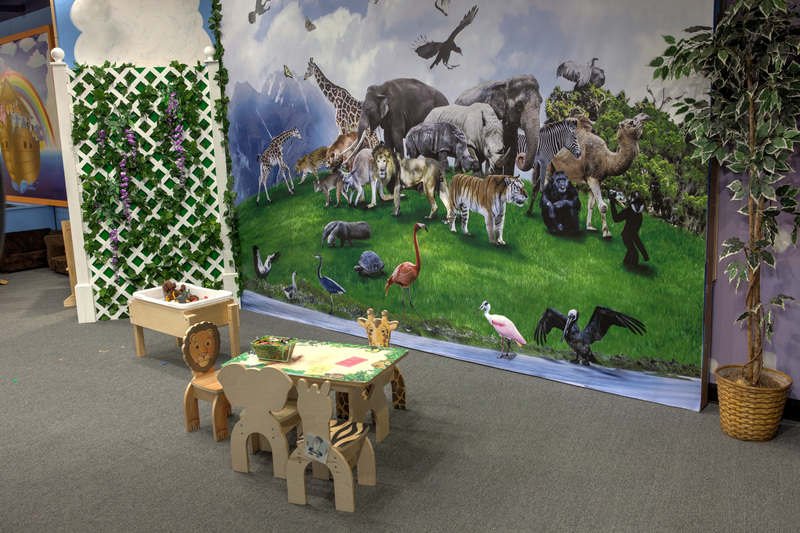 Guests can play in a Noah’s Ark ball pit, follow in the footsteps of Adam by naming their own animals, see themselves (thanks to a green screen) in their favorite Torah story, walk in the Garden of Eden and study Jewish law in a child-sized courtroom, among many other activities. “This is an experiential exhibit that provides a great opportunity for kids and family to learn outside the classroom,” said Shalom Street Director Andee Liberman. First of all, it’s fun, but Liberman also hopes that children leave with a greater love of the Torah and have a chance to see Judaism come alive. These days museum staff are working day and night (literally) as they complete It’s Your Torah To Explore. The walls are filled with inviting images of a beautiful desert, magenta and purple mountains, and giant drops of blue-and-white water. There’s a slight aroma of paint, boxes to unload, a treehouse that’s morphing into Mount Sinai. 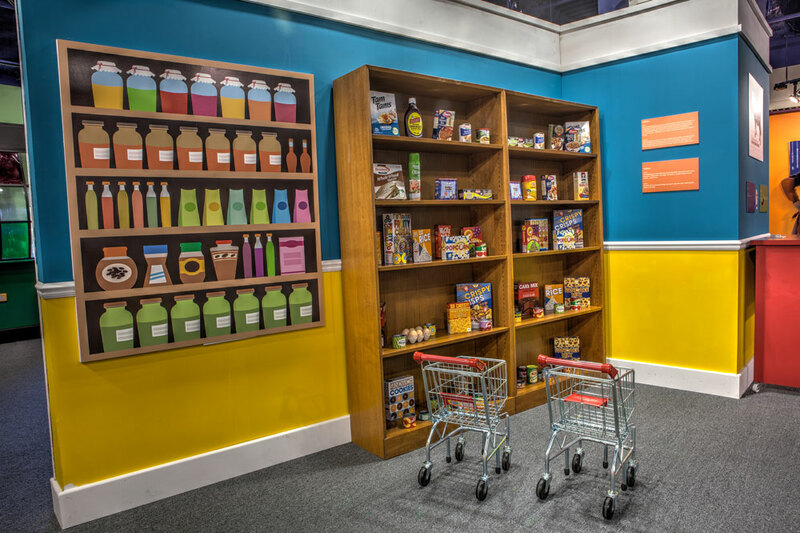 A kid-sized grocery store is under construction, as is a new area in the middle of the museum where the under-1-year-old set can do a bit of crawling and jumping. 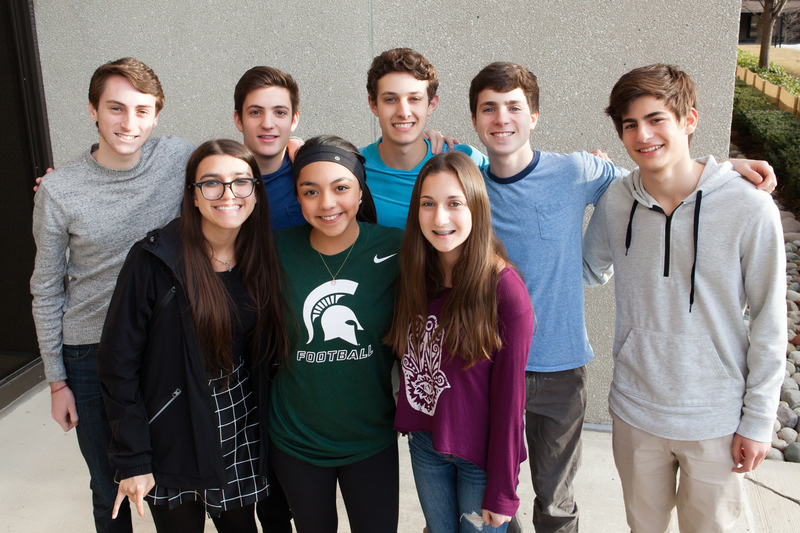 The roots of It’s Your Torah To Explore go back many months, when the Shalom Street Board of Directors and the Jewish Federation of Metropolitan Detroit Board of Jewish Educators first met to discuss ideas. Their goal was to come up with an exhibit that is educational, but also unlike anything found in a school. Next, Liberman and Shalom Street Programmer Sarah Katz planned the elements of the exhibit and then worked with designer Monika Essen of Studio Epoque to create a 3-D image of how it would appear. The result was a tiny, dollhouse-like room that looks like it could fit in a large shoebox and seems to be filled with fun, creativity and possibility. The person who helps bring everything to life is Eric W. Maher, technical director of The Berman Center for the Performing Arts, just down the hall from Shalom Street at the Jewish Community Center of Metropolitan Detroit. 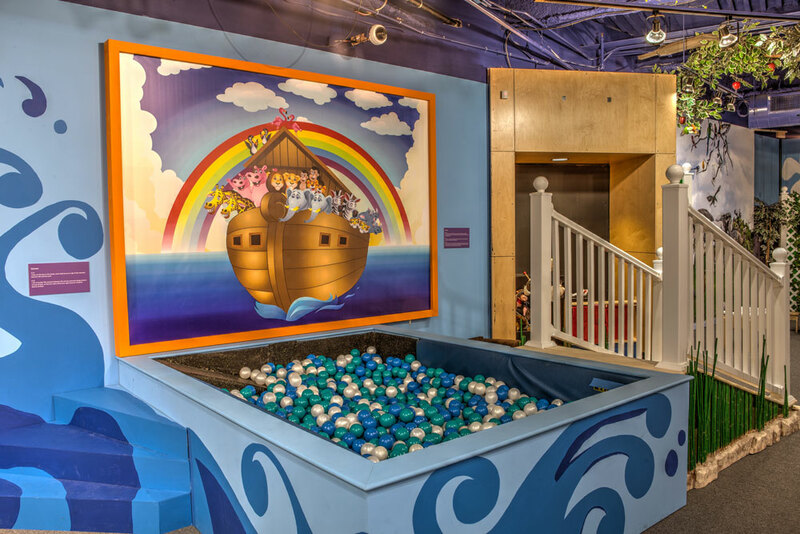 Eric and his staff built the exhibit’s ball pit, courtroom and grocery store, each of which is a work of art. While Liberman loves to recycle and reuse whenever possible, many of “It’s Your Torah To Explore” items were custom-built. Additionally, every piece of fabric used must be flame retardant and waterproofed, and cloth is often dyed to create the perfect color. 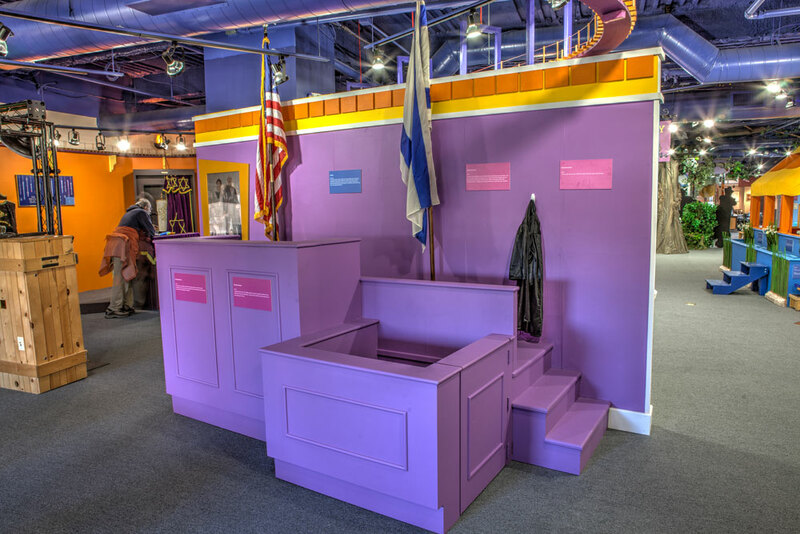 This exhibit was created with the support of the Charles H. Gershenson Fund and was developed specifically for children ages 3-12 and their families. There is no charge for admission. 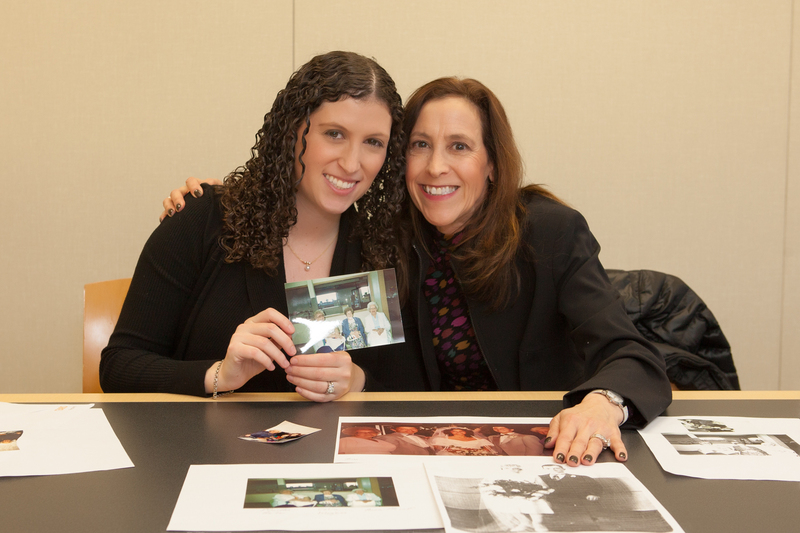 Creating a Now Generation of Grantmakers.